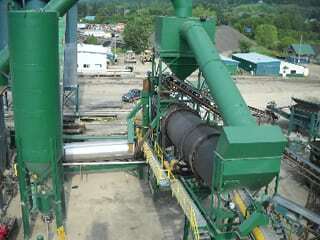 The rotary mixer offers a gentle tumbling action that can incorporate a multitude of materials. A variety of solids such as fibers or shredded materials can be pneumatically conveyed into the process along with a variety of liquids. Units can be provided with tumbling or rolling type flights to maximize product contact. Rotary mixers are used extensively in the processing of minerals and provide low maintenance with high-efficiency performance. LDC has the personnel and vast experience to assist with the development of your custom rotary mixer system in a variety of markets.